United Nations new report says: Lesser consumption of animal products is necessary to save the world from the worst impacts of climate change. 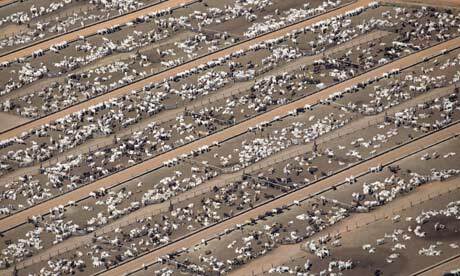 An cattle ranch in Mato Grosso, Brazil. The UN says agriculture is on a par with fossil fuel consumption because both rise rapidly with increased economic growth.